I like to breathe new life into my home at the first gust of an autumn wind. Re-styling the living room area is the easiest way to spruce up my home with the look and smells of the season. Seasonal decorating can get tricky (not to mention expensive) though, and above all, no one wants to have tons of “junk” to store once the season is over. Luckily, there are loads of ways to incorporate seasonal fall elements at low to no cost. Here are 15 ways I’m adding a splash of fall into my home—check them out in the slideshow. 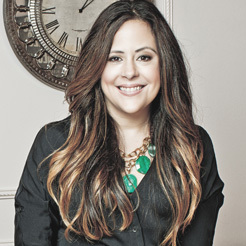 Maritza Buelvas is a freelance beauty writer and hair artist via her site Beauty For Bloggers. She resides in Suburban Chicago with her husband and two little boys. She can be found on her content-based Instagram and her photography Instagram.